There are few things more relaxing in life than a swim in a heated pool. Throughout the fall and winter, though, your pool heater may not get to do much relaxing of its own. That is why it is so important that you schedule pool heater maintenance service in Miami. Anyone that has ever turned their pool heater on only to take an icy dip later in the day surely understands the necessity of keeping your pool heater dependable. For any and all pool heater maintenance services you need, contact the experts at Air On Demand. Pool heater maintenance is absolutely necessary if you want to be able to rely on the dependable performance of your pool heater. There is no better way to ensure that each every component of your pool heater is in good working condition than with regular, professional maintenance. A pool is a big investment of both time and money. Do not get stuck only using it for part of the year. Regular, professional maintenance can also help keep your pool heater as efficient as possible. A pool is a great luxury, and a heated pool is even more of a luxury. 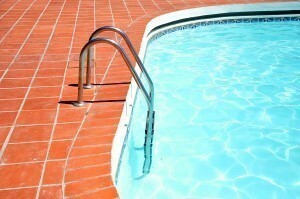 Do not get stuck paying more than you should to keep your pool comfortably warmed. By scheduling regular, professional maintenance you can be sure that your pool heater is working as efficiently as possible. There is no better way to avoid scheduling repair services for a broken down pool heater than with professional maintenance service. Even if you do not use it that frequently, your pool heater is going to suffer some wear and tear during operation. If this happens and you continually force your pool heater to operate in a compromised condition you can do some serious damage to the device. Contact a Miami professional to schedule the maintenance service that your pool heater needs. Do not make the mistake of neglecting your pool heater in Miami. Doing so will only ensure an interruption to your pool heater service and the enjoyment of your pool. Contact Air On Demand to schedule pool heater maintenance today. Did you know that Air On Demand installs and maintains pool heaters in the Miami area? Sure in summer you are happy for the cool water in your pool that allows you to cool off, but you should be able to use your pool year round! We can offer you various installations and set-ups to match any pool. Most people with pool heaters don’t know that they need annual maintenance. A technician from Air On Demand will check all of your electrical connections, the compressor in the heat pump, and clean your filters. Call Air On Demand for all of your air conditioning, heating, and pool heater needs.